Choosing the right LS swap motor mounts is the foundation to a seamless LS swap. 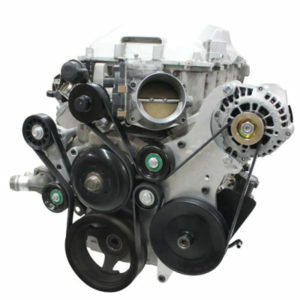 If you choose the right mount to being with you will avoid a variety of issues during the LS swap process. All of the LS swap motor mounts at LSX Innovations have been precision CNC machined in the USA. 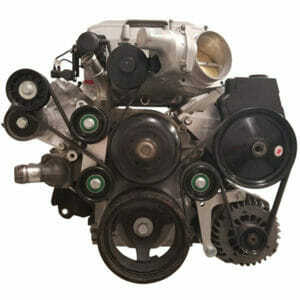 We are here to ensure that only the highest quality materials are going into your LS engine swap. 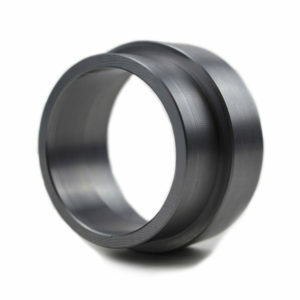 When we say precision CNC machined we mean it. Our CNC machines repeat their processes within .0005 thousands. A lot of LS engine swap mounts on the market are water jet cut or laser cut. 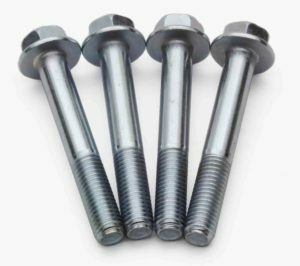 These processes are faster and provide the companies making them with a higher profit margin, but it doesn’t guarantee precision the way a CNC machine does. Most of these water jet or laser cut machines cannot repeat within .010 thousands. At LSX Innovations, we believe our customers are worth the extra time it takes to make our products the right way. 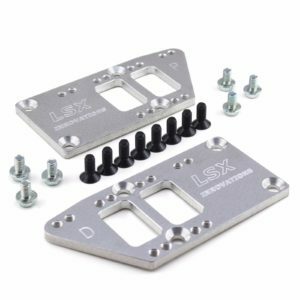 All of the LS swap motor mounts at LSX Innovations also have the necessary pockets machined into them to clear the bump on the backside of your small block Chevy mounts. These pockets are a requirement to ensure that the mount sits flush and functions properly. 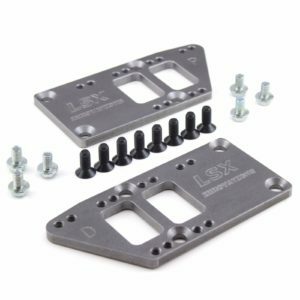 With the LS engine swap mounts from LSX Innovations you will get a correct fit every time and the best value available on the market. 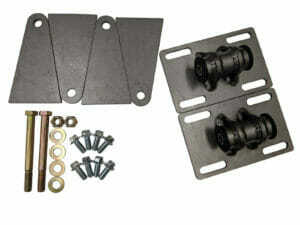 Our LS adapter plates come steel, and aluminum. 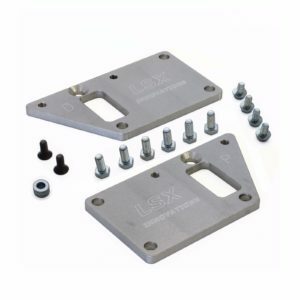 We recommend steel LS adapter plates for applications over 500 horsepower, and aluminum LS adapter plates for applications under 500 horsepower.